This sum­mer I had hit the wor­st rut in my life. Anxious, depressed and show­ing traits of addict­ive beha­vi­our, I really did not feel good. The thing is, I wouldn’t have spoken to any­one about it. The only reas­on I did is because when I have these emo­tions, I tend to chan­nel them out of me via my pas­sion for cre­at­ing music. I made dark song after song which seemed to lighten the weight. (It is really hard to explain it thor­oughly in text so please for­give me). Fast for­ward a few months down the line I was listen­ing to the songs I had made and decided to make a music video (with the help of a couple of my good friends) we cre­ated ‘Save Me’. After I had released that video, people who had watched (some I knew, some I didn’t) approached me online and spoke about how my music inspired them to do more, to get up and try again, to reach fur­ther in their own lives… I had NO idea! I hon­estly cre­ated the songs to express my own emo­tion, and since that release I looked over the tracks I had made in the bad stage I men­tioned earli­er. I decided to group them togeth­er into an album, with appro­pri­ate skits in-between cer­tain songs to cre­ate the atmo­sphere I needed, and decided that I will try to help any­one who needs it in rela­tion to their men­tal health. It is a hard one to work out some­times — I know some people would not talk to people off their own back, as I said earli­er I felt the same — but some­thing about my vul­ner­ab­il­ity in my new music helped people open up. It’s a good feel­ing to be able to offer this in ways where I can, espe­cially via my music­al pas­sion, it feels like my pur­pose as been strengthened and become clear­er (I have been mak­ing music for over sev­en years). The album starts dark and reaches a lighter, more up-tem­po vibe as it con­tin­ues rep­res­ent­ing a way out of these prob­lems. Since this I have been on one of the biggest radi­os in this coun­try (BBC) talk­ing about Music, Motiv­a­tion & Men­tal Health and also work­ing on Char­ity based events with organ­isa­tions such as ‘MIND’. My album is now out world­wide so far it has gained over 30,000 streams on Spo­ti­fy alone. 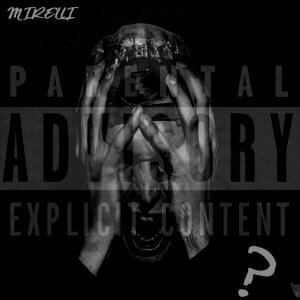 Includ­ing the videos on my Face­book page ‘Mirelli’ https://www.facebook.com/mirelli01 the albums con­tent is sur­ging towards 50,000 plays/views/streams.